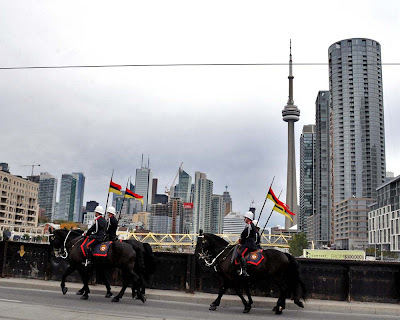 The 130th annual Toronto Police Amateur Athletic Association Games took place at Rogers Centre on Saturday October 13, 2012. 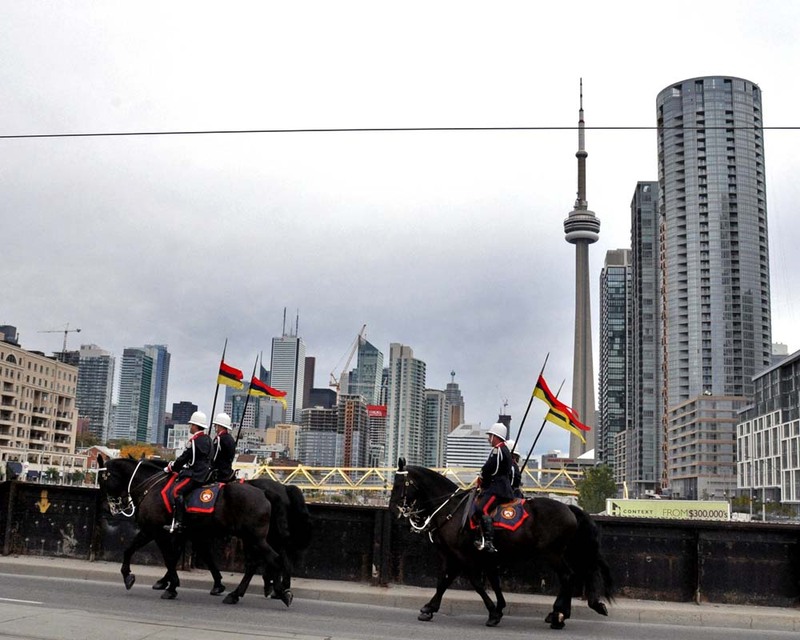 The event has been held at Rogers Centre for 20 years and features athletics and police displays with proceeds going directly to the Toronto Police Widows and Orphans Fund. "This year will feature an athletic portion including a highly competitive obstacle course, tug-of-war and relay race. 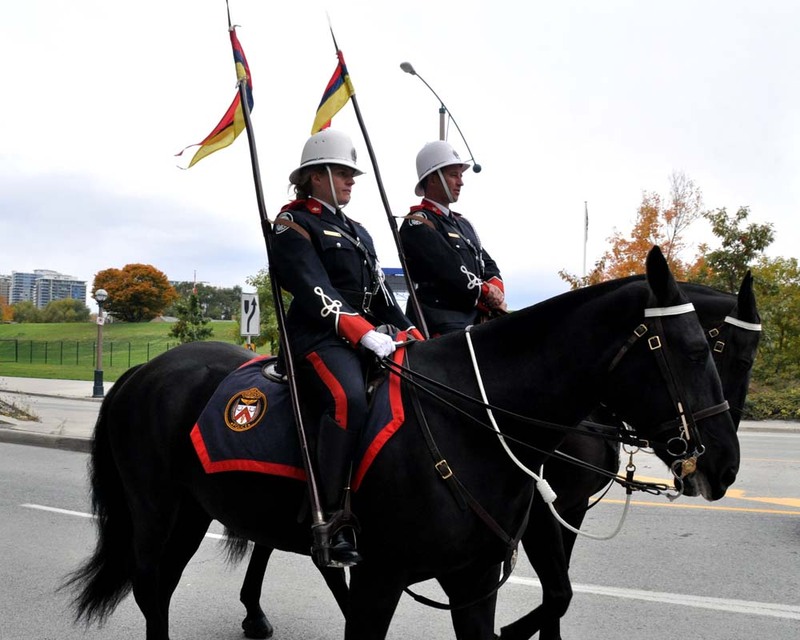 Traditional components of the Police Games will also return with the annual March-Past parade of Police Officers; displays of police vehicles and equipment; and lots of live entertainment!" 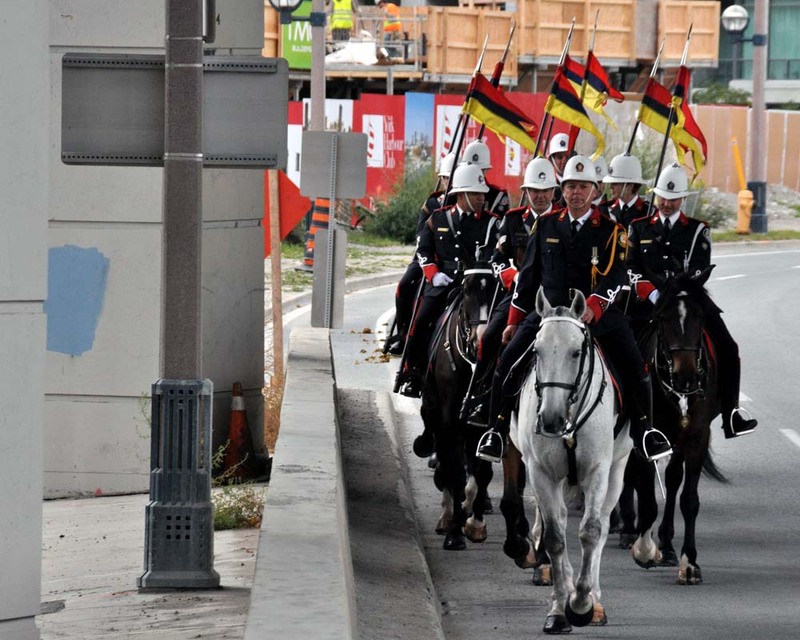 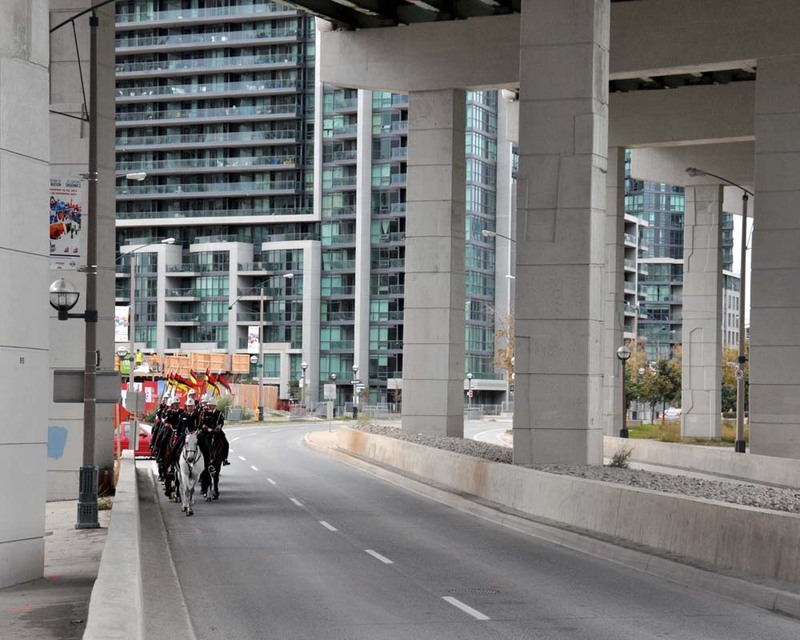 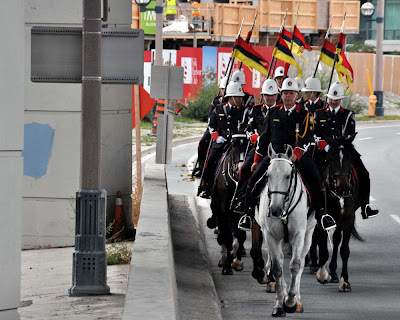 A mounted troop of ceremonial guard of the Toronto Police head along the streets of Toronto on their way to Rogers Centre for the event.